Children reading program at El Cerrito Library. © 2015 Thomas Rogers. El Cerrito Library Foundation is a 501(c)(3) organization. $200,000 – for an Opening Day Collection Fund to provide books, ebooks and other digital media. $800,000 – for the library’s Infrastructure Fund to provide equipment, furniture, art, and other non-fixtures that a bond cannot fund. $1,000,000 – for a Permanent Endowment Fund to provide for library programs. What is the Permanent Endowment Fund? 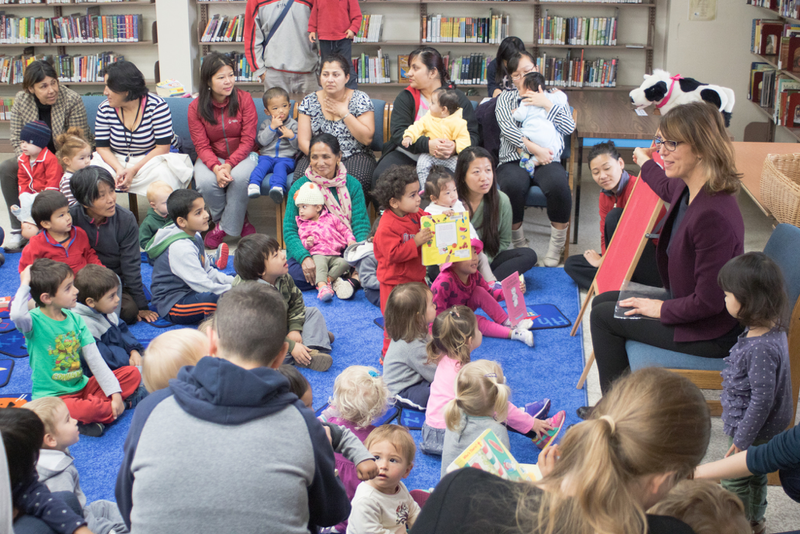 The Permanent Endowment Fund was established in November 2018 by the El Cerrito Library Foundation from donor contributions to provide additional income in perpetuity for the El Cerrito Library to support library programs once the Fund balance reaches $1M. Donors may contribute to this Fund by indicating that your donation is for the Permanent Endowment Fund. However, if donors wish to contribute funds in support of the new El Cerrito Library, you should indicate your donation is intended for either the Opening Day Collection Fund or the Infrastructure Fund. If you wish to support the Library immediately, you can contribute an un-restricted donation to benefit the library and its programs today. If you have any questions about donating, please contact info@eclibraryfoundation.org. You can make a tax-deductible gift to support our efforts for any number of years. The El Cerrito Library Foundation accepts not only cash gifts but also stocks and bonds. Some people prefer to donate appreciated stocks and bonds since the market values can often be used as charitable deductions from the donor’s income tax. Donors aged 70-1⁄2 years and up may be able to exclude from their taxable income any gifts that are made directly from a taxable IRA. If you have a donor-advised fund it is easy to make a gift from that fund to the El Cerrito Library Foundation. The El Cerrito Library Foundation also accepts gifts of real estate. Please consider including the library in your estate planning via your trust and will – particularly for the permanent endowment fund. If you are an Amazon customer, 0.5% of the price of your AmazonSmile purchases can be donated to the Foundation. See “Donate to the Foundation when shopping at Amazon” link in the sidebar to the right. FirstGiving. The service collects a 7.5% transaction fee per donation. To ensure that El Cerrito Library Foundation receives the respect and trust of the general public, and that donor and prospective donors will have confidence in the Foundation’s group and causes the Foundation supports, we recognize all donors have these rights listed in this AFP’s’ Donor Bill of Rights.